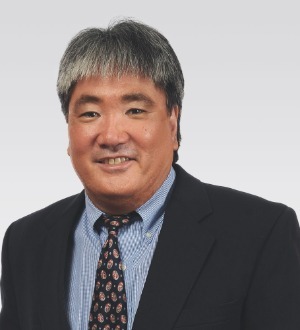 Craig G. Nakamura is the Administrative Partner in the firm's Maui Office and is a member of the Litigation practice group. He concentrates his practice in the areas of real estate and general corporate law. Mr. Nakamura has extensive experience in commercial real estate, civil litigation, construction disputes, foreclosures, mediation and arbitration. He was recently selected by attorney peers for inclusion in The Best Lawyers in America 2018 in the fields of Litigation - Real Estate and Real Estate Law. Leasing Represents landlords, tenants and property management companies in lease transactions including shopping centers, ground leases, warehouses, offices and residential leases. Work involves drafting and negotiating lease documents, negotiating debt cure, filing eviction actions and collection of debts. Hotels and Restaurants Worked with numerous restaurants, including international chains and franchises in all aspects of doing business on Maui, including leasing, construction contracts, various construction permits, liquor licensing and mechanics liens. Real Estate Litigation Represents numerous individuals and companies in real property disputes including quiet title and partitions, boundary disputes, accretion, easements, construction contracts, building defects, mechanics liens and realtor claims. Represented commercial lessors in cases involving bankruptcy filing by retail lessees. Worked to assure payment of post-petition rents and return of lease premises or assignment of lease. Real Property Development Represents developers in all phases of project management. Work involves land use concerns, planning and approval of subdivisions, licensing and permitting requirements at the state and local levels, and community relations. Licenses and Permits Assists clients in obtaining a wide variety of licenses and permits from government agencies, including liquor licenses, commercial harbor licenses, conditional use permits, shoreline setback variances, historic district permits, conservation district use permits and special management area use permits, among others. Corporate All phases of corporate work including purchases and sales of large and small companies, formation and continuing representation of all types of entities. Advising board of directors on fiduciary duties, and handling of shareholders meetings. Representation in disputes and litigation among shareholders, partners and buyers/sellers of businesses. Banks Assists banks, other financial institutions and individuals with enforcement of promissory notes from borrowers. Provided advice, documentation and negotiation prior to and during collection and foreclosure proceedings. Represented banks and credit unions in numerous foreclosure actions. Probate/Guardianships Assists with the administering of estates of various sizes, including will contests, and establishing guardianships for minors and others needing assistance. Selected by attorney peers for inclusion in The Best Lawyers of America 2016 in the field of Litigation - Real Estate and in Real Estate Law; listed in the publication since 2013.